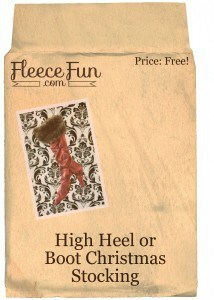 Learn how to make a high heel Christmas stocking with this DIY. 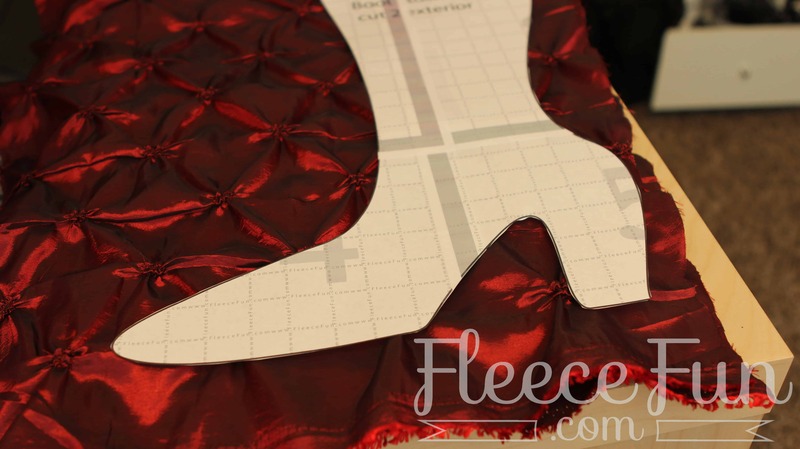 This chic Christmas stocking is simple to make. 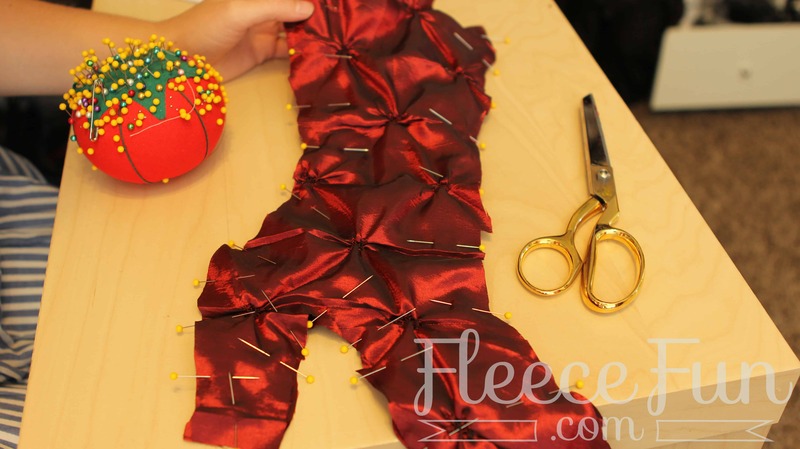 You will need to assemble the pattern. 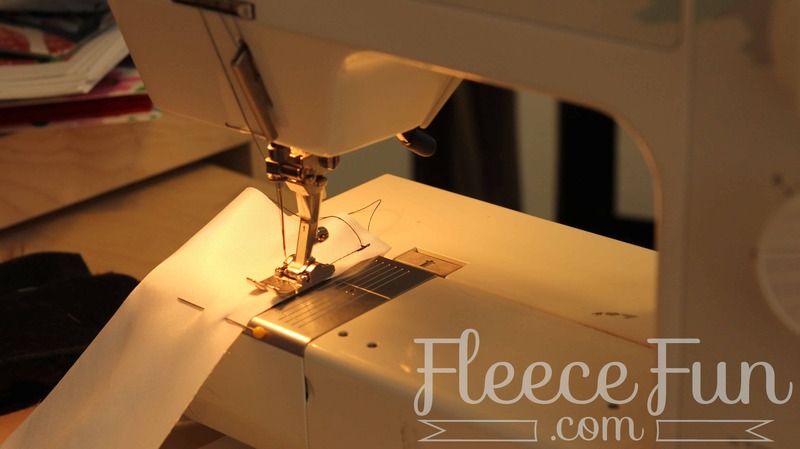 For instructions on how to assemble the free sewing pattern click here. 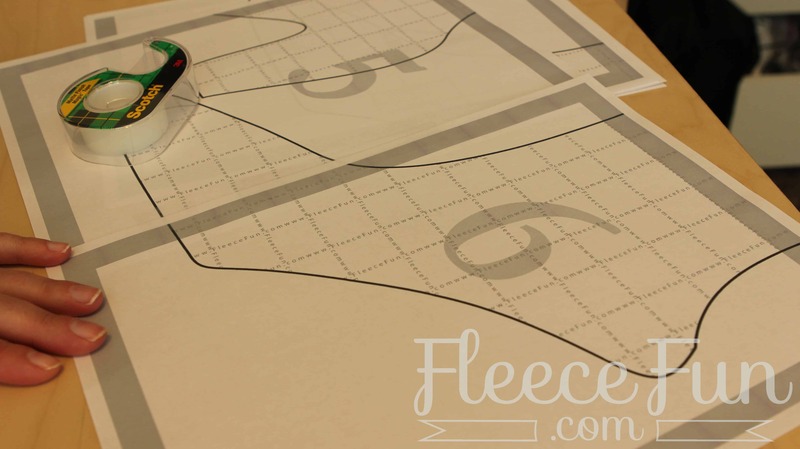 Print up the pattern (you can get assembly instructions here) . 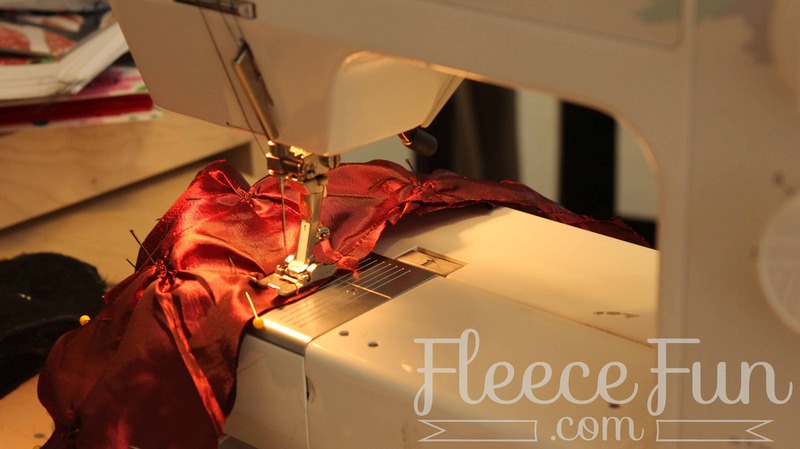 Tip: To save money on fabric use a less expensive white muslin for the lining. and underside of the cuff. 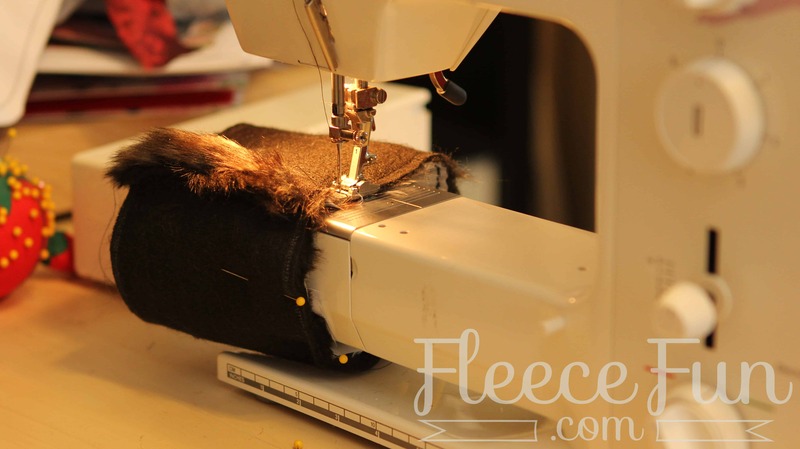 Place right sides of the stocking together, and using a .25 inch (.6cm) seam allowance sew all the way around the stocking leaving the top open. Do the same for the lining. Trim the toe and snip slits along curves ( taking care not to cut through the seam) Turn exterior stocking right side out, take a little bit of batting in the heel. 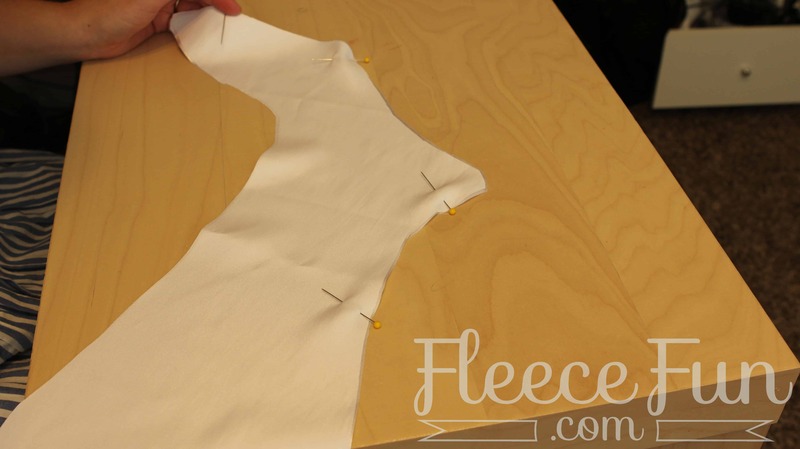 Leave lining with right side in. 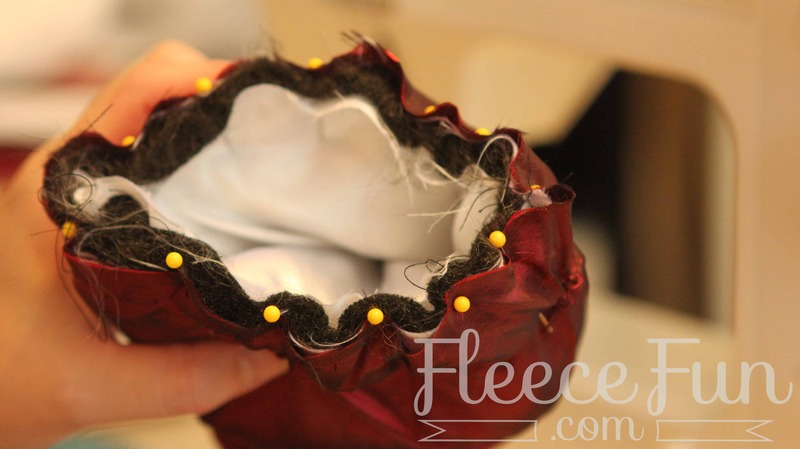 Insert lining into stocking – wrong sides should be together, set aside. 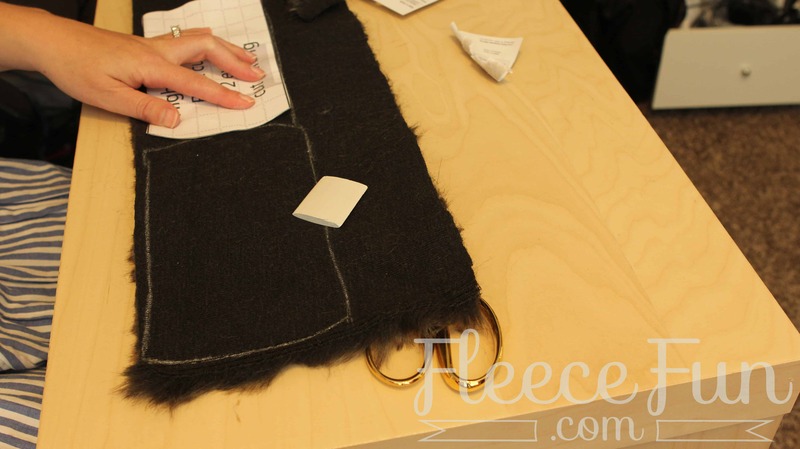 With right sides together, sew the sides of the cuff, using a .25 seam allowance. 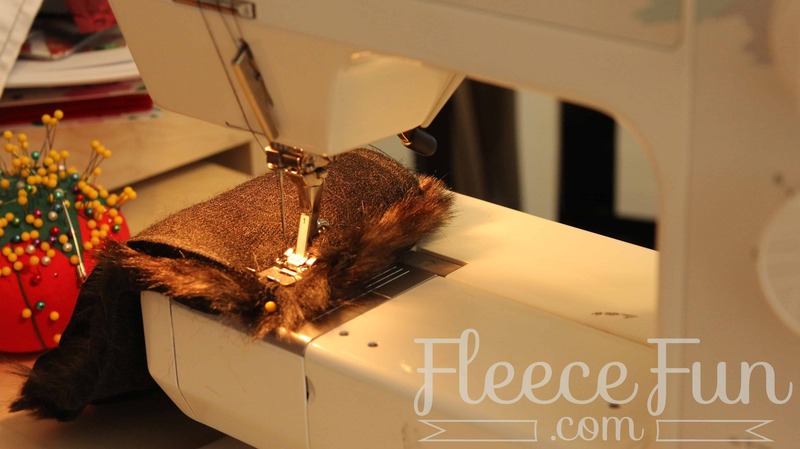 do the same for the cuff lining. 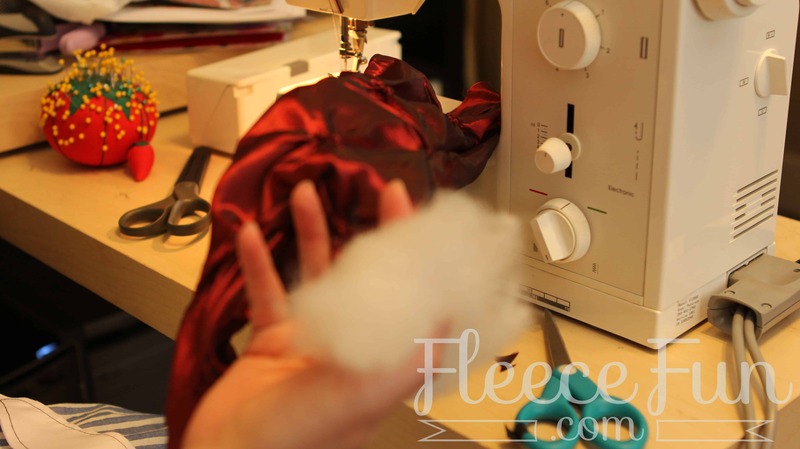 Then with right sides together, place the cuff and the cuff lining together and sew the bottoms together using a .25 seam allowance. Trim points and flip right side out. Note: The bottom on the elf stocking is the triangles, the bottom on the basic is smaller than the top. Take the hanger, and the cuff. 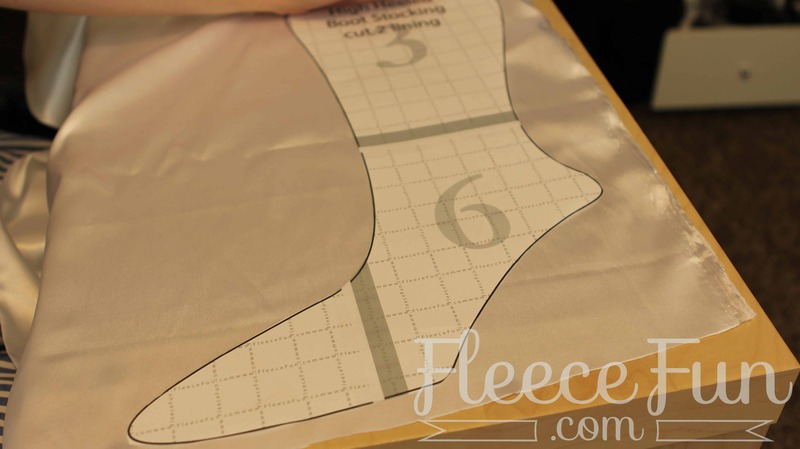 Fold hanger in half and pin at the seam above the heel on the inside of the stocking – loop should be towards the bottom. Next take the cuff and place it inside the stocking so the right side is facing in (the right side of the cuff should be touching the wrong side of the stocking). 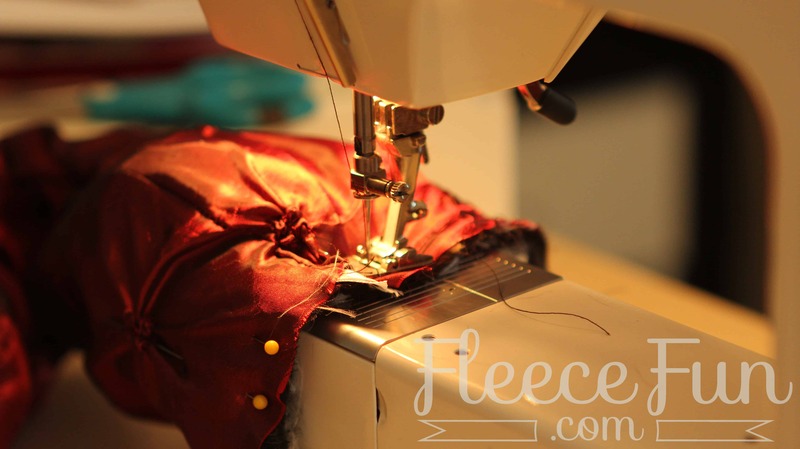 Using a .25 seam allowance sew all the way around the top of the stocking. Then flip cuff right side out and you’re finished! You have so many great holiday ideas! Wish I had enough time to get them all done! !